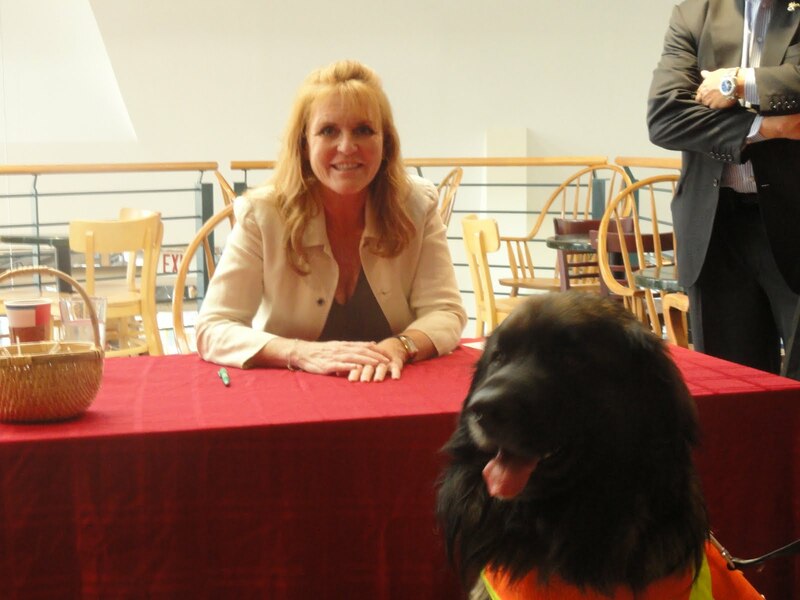 Events & Blog: CHEWEE MEETS THE "DUTCHESS OF YORK"!!! Chewee met Sarah Ferguson and what a thrill it was. Chewee and Sarah hit it off and he was so proud when she wanted her picture taken with him. She sign her book to him and she wrote "Dear Chewee, with love Sarah, the Dutchess of York". Chewee was in heaven and he wanted me to read her book to him. Chewee felt like royality and he was on his best behavior as always.